The Middle East refugee crisis unfolding in Europe has brought shocking images into our homes. The reality is that most of the refugees, primarily Syrian and Iraqi, have not made it out of the Middle East. They have become the humanitarian burden of nearby countries-- Lebanon, Jordan and Turkey. Many have left homes behind and settled in other areas of their own country (known as internally displaced persons or IDPs). Reports indicate there are 3.5 million internally displaced persons within Iraq and 7.6 million displaced citizens within Syria. Besides those displaced within the country, nearly 4.5 million Iraqis and Syrians are refugees in nearby countries. For Syria, that means more than 50% of the population has left their homes. Third Church is partnering with Presbyterian churches and organizations inside Syria, Iraq, Jordan and Lebanon to aid these refugees. The mission committee is sending $10,000 of emergency funds for refugee and IDP relief. But more is needed. So, we invite you to multiply this gift. 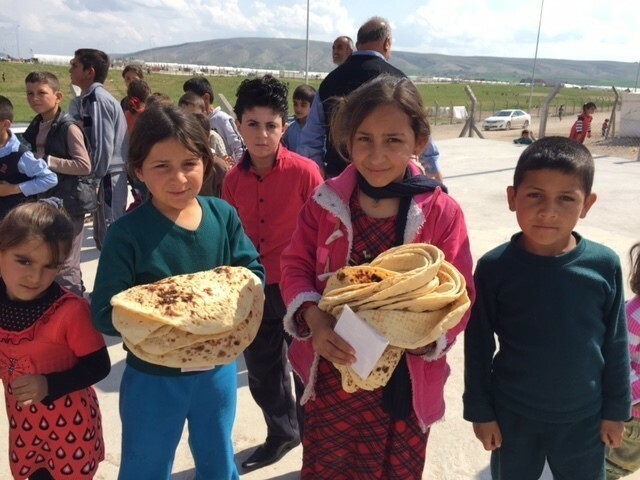 Our goal is to send $30,000 to these partners to care for neighbors -- Christian, Muslim and Yazidi -- who have fled to safer ground in their own country or across a nearby border. How will the gifts be used? Who will receive our funds? We're working with three Refugee/IDP partners and the funds will be divided equally among them. The National Evangelical (Presbyterian) Synod of Syria and Lebanon serves the remaining Presbyterian churches in Syria and Lebanon. They provide support in form of housing, food, water, medicine, heating fuel, schooling for displaced/refugee Syrian schoolchildren, and more. They also provide support to Syrian refugees in Jordan. The Assembly of Presbyterian Churches in Iraq is essentially a Synod of Presbyterian churches, but there are only three or four still meeting in Iraq. Started by Presbyterian missionaries in the mid1-9th century, the churches have been strong beacons of witness throughout the Iraq difficulties of the past 20 years. The Assembly has been providing significant support to IDPs through camps where bread bakeries have been built, providing lodging to evacuee, and providing food, water and medicine for IDPs. International Cooperating Ministries is a Mission Partner of Third led by Janice Allen and Geof Stiff. They are channeling funds to Palestinian Presbyterian missionaries from Bethlehem who are working in a refugee camp of over 200,000 on the Syrian/ Jordanian border. These Arabic speaking missionaries will distribute solar powered audio bibles and audio bible study materials that seek to communicate the good news of Jesus to Muslims. Through all these efforts, Christ is glorified and his name made known. So please make your gift by sending a check to the church office designated Refugee Relief, or donate instantly online by clicking the button below.